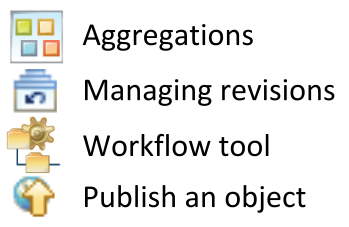 A virtual research environment is a platform which allows multiple researchers in different locations to work together in real time without restrictions. 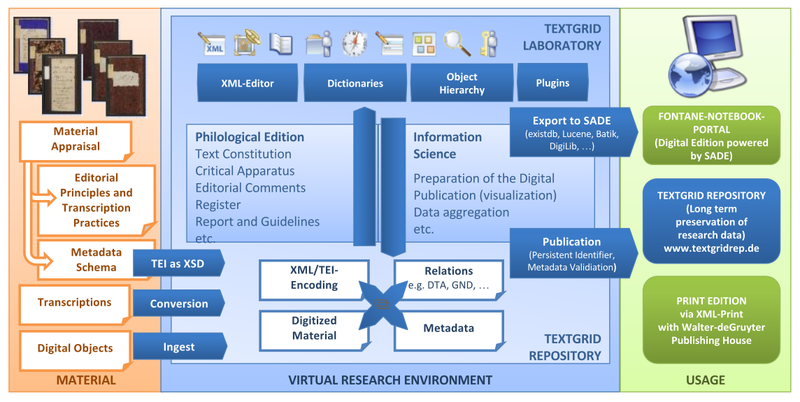 In terms of content, virtual research environments potentially support the entire research process – from the collection, discussion and further processing of data right through to the publication of results. 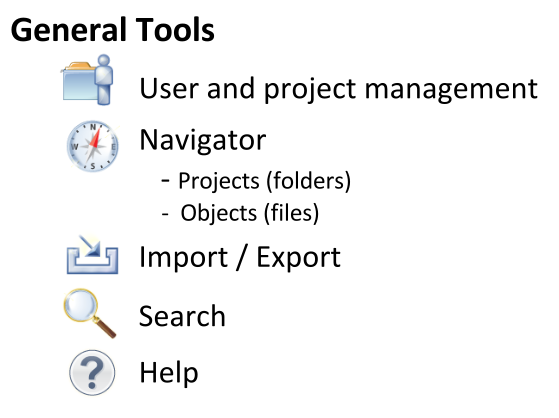 To prepare those projects generic and specific tools are available within the TextGridLab. Items are the simplest, but also most common entities in TextGrid. 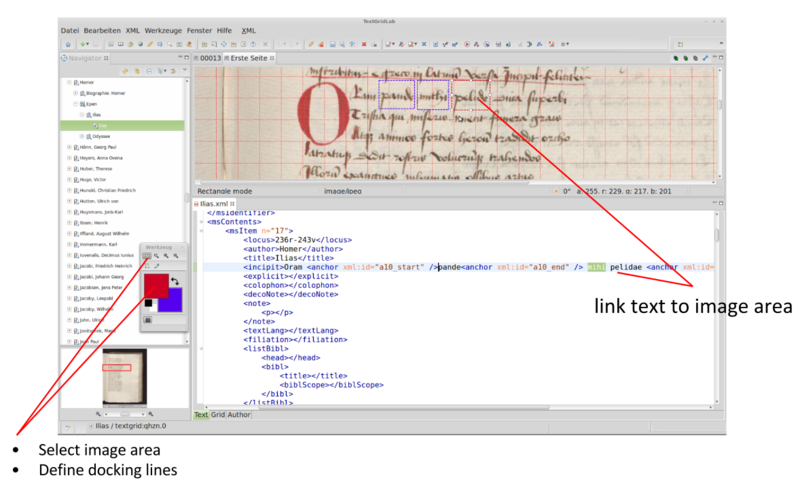 An Item may be a page scan or a chapter of an edition in the form of an XML document.